Bowyer started 19th and finished 20th. Moved into 10th by lap 11. Spotter Brett Griffin told Bowyer that he, Kevin Harvick and Martin Truex Jr. were the three best cars on the track. Bowyer gave up fourth and dropped to 20th because he pitted with two laps remaining in the stage in order to start at the front of the field for Stage 2. Bowyer started third and finished 20th. Because he pitted at the end of Stage 1 he stayed on the track during the break and moved to third on the restart. Crew made air adjustments to help the No. 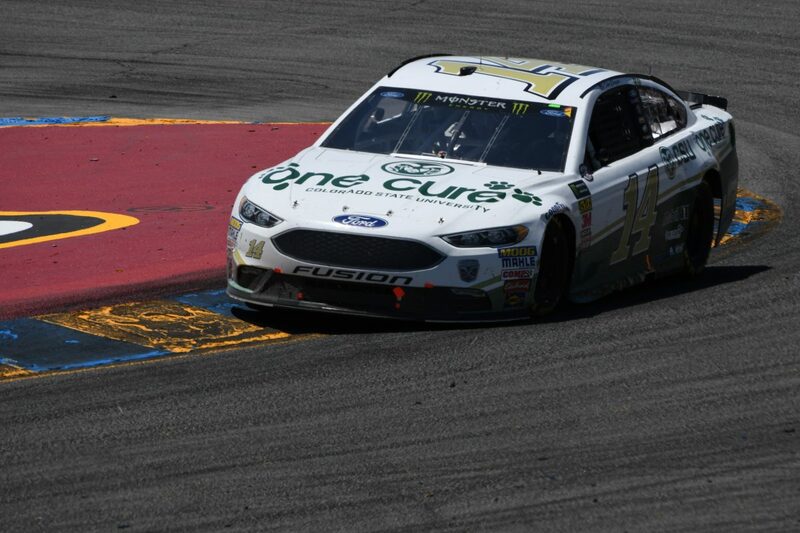 14 Ford turn in the corners. Raced in third before dropping to 18th when he pitted with two laps left in the stage. The move enabled him to start at the front of the field for the final stage. Bowyer started third and finished third. Asked crew for more help getting the car to turn. Turned quickest time on the track with 40 laps remaining. Made routine pit stop under green for four tires and fuel with 37 laps remaining. Moved to second place with 28 laps remaining but fell back to third six laps later. The stage ran caution free and Bowyer could not catch Truex or Harvick in the final laps. There were three caution periods for a total of eight laps. Twenty-one of the 38 drivers in the race finished on the lead lap. This was Bowyer’s fifth top-five and ninth top-10 of 2018. Bowyer earned his eighth top-five and 10thtop-10 in 13 career Monster Energy NASCAR Cup Series starts at Sonoma. This is the second time Stewart-Haas Racing (SHR) has placed all four of its drivers in the top-10 in a single race, with Harvick finishing second, Bowyer in third, Kurt Busch fifth and Aric Almirola eighth. The last time was March 11 at ISM Raceway near Phoenix. This is the best collectivefinish for SHR since its inception in 2009. The next event on the Monster Energy NASCAR Cup Series schedule is the Overton’s 400 on Sunday, July 1 at Chicagoland Speedway in Joliet, Illinois. Coverage of the race begins at 2:30 p.m. EDT live on NBCSN.